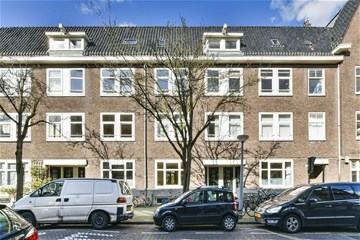 Vogelenzangstraat 6 Huis Amsterdam Oud-Zuid - Ramon Mossel Makelaardij o.g. 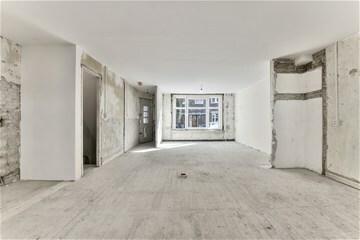 B.V.
Fixer-upper with garden and huge potential! Lovely ground-floor property measuring approximately 111 sq. m., with a garden. This is a home that can be adapted and finished to suit your own needs. 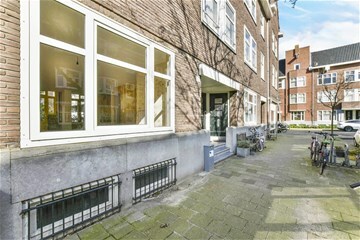 Location: The property is located on a quiet street in the popular Hoofddorpplein neighbourhood, known for its tranquillity even though the hustle and bustle of the city is just a stone’s throw away. 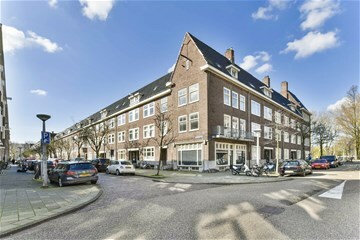 A diverse range of great shops, bars and restaurants are within walking distance of Hoofddorpplein and Amstelveenseweg. You can enjoy a drink at Van Mechelen, get a bite to eat at Drovers Dog or relax on the terrace at Gent aan de Schinkel. If you’re into sports, Vondelpark is just around the corner and there are good public-transport links. The property is located within easy driving distance of the A10 and A4 motorways, and there is currently no waiting list for a parking permit. What’s more, the Nieuwe Meer, Amsterdamse Bos and Rembrandtpark leisure areas and the main access roads (A10, A4, A5 and A9) are all close by. 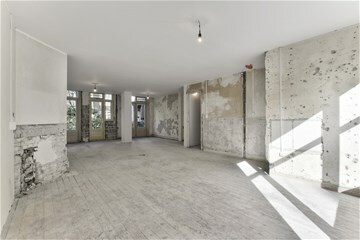 Entrance on the ground floor, enclosed porch, hall, open area that can be arranged according to taste. This room has French windows leading to the lovely, deep garden. Staircase leading downstairs, which currently features a large room with a small separate area, with daylight at the front and rear. - The ground rent has been BOUGHT OUT until 31 January 2063. - Service fees are €114.55 per month. - Handover to be discussed – fast resolution possible. - Speedy handover is possible. This information has been compiled with due care. We accept no liability for any incompleteness, inaccuracy or otherwise, or the consequences thereof. All specified measurements and surface areas are indicative. The buyer has their own obligation to investigate all matters that are important to them. Our firm is the estate agent for the seller of this property. We advise you to contact an estate agent associated with the Dutch Association of Real Estate Brokers and Real Estate Experts (NVM) or the Amsterdam Estate Agents’ Association (MVA). 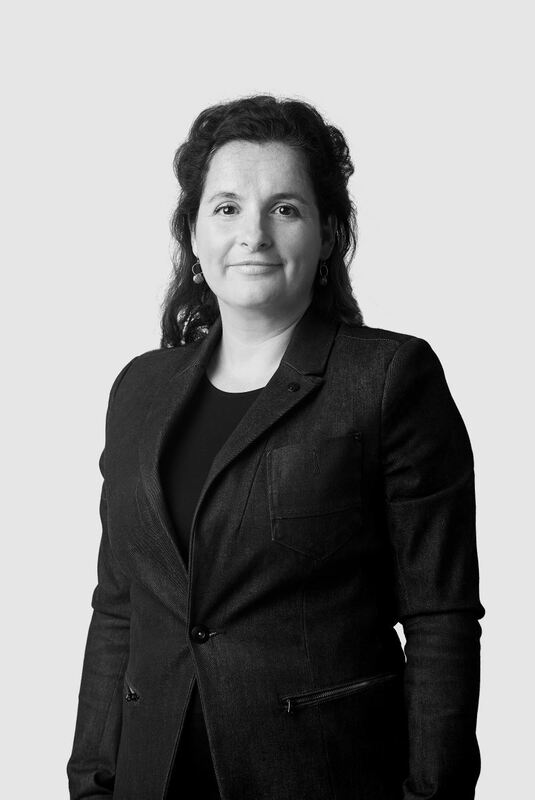 Should you decide not to hire professional representation, then you deem yourself competent in accordance with the applicable law to understand and oversee all matters associated with the purchase of a property. The NVM General Consumer Conditions apply. De Key. 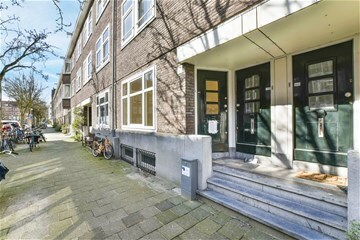 Goed wonen sinds 1868.